LTSF’s 46th season features NEW onstage seating and big savings on Two-Show Package Subscriptions. Lake Tahoe Shakespeare Festival PRESENTS Macbeth and Beehive – The 60s Musical in 2018. INCLINE VILLAGE, NV (May 21, 2018) – Entertainment, food, family, and friends will converge under the stars on the scenic shore of Lake Tahoe this summer as Lake Tahoe Shakespeare Festival (LTSF) launches its 2018 season. Due to audience demand, the Festival will continue to run an additional week of performances of its two mainstage productions. Showcasing live entertainment seven nights a week, July 6 – August 26, 2018 at Sand Harbor, Lake Tahoe Nevada State Park, Lake Tahoe Shakespeare Festival’s 46th season is headlined by productions of Macbeth, Shakespeare’s towering tragedy, and Beehive – The 60s Musical, Off Broadway’s groovy retro-hit revue, created by Larry Gallagher. LTSF Producing Artistic Director, Charles Fee, will direct Macbeth, and Victoria Bussert will helm Beehive – The 60s Musical. The productions will be performed in rotating repertory Tuesdays through Sundays at 7:30 p.m.
Beehive – The 60s Musical is an exuberant jukebox celebration of the women musicians who made the 60s truly memorable. 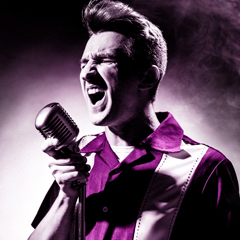 Beehive transports audiences on a nostalgic musical journey back in time. Featuring forty classic chart-toppers (and Aqua Net-glistening coiffures, of course), this groovy retro-revue highlights hits that range from the Supremes’ memorable melodies to Janis Joplin’s heart-rending rasp to Aretha Franklin’s soul and more. So break out your vintage best…and prepare to sing along, dance in the aisles and relive one of music’s truly golden eras. Adult tickets range from $30 – $99. Youth tickets (age 25 and under) range from $15 – $25. Tickets may be purchased online at www.LakeTahoeShakespeare.com or via phone at 1.800.74.SHOWS. Discounts and dining areas are available for groups of 10 or more. For more information about group tickets and dining area availability, call 775.298.0154. Patrons are invited to save when they purchase tickets to BOTH Macbeth and Beehive – The ‘60s Musical as part of a 2018 Subscription Package. Subscription Package tickets may be purchased online at www.LakeTahoeShakespeare.com by selecting “Two-Show Subscription Package,” or via phone at 1.800.74.SHOWS. The 5th Annual Prim Jazz Night: Mindi Abair & The Boneshakers Back by popular demand! A wide range of customizable sponsorship opportunities are available. For information, contact Rae Matthews at 775.298.0154 or via email at rae@tahoebard.com. Lake Tahoe Shakespeare Festival is a 501(c)(3) non-profit organization established for the cultural benefit and enjoyment of all residents of and visitors to Lake Tahoe and the region. Annually drawing more than 30,000 attendees from across the country to the specially built Warren Edward Trepp Stage at Sand Harbor, the Festival is committed to producing the finest cultural events in the region. The Festival’s community outreach initiatives are highlighted by signature educational programs that include InterACT, an interactive school-based workshop series for students designed to educate future generations about the importance of the arts, theater and music, and the D.G. 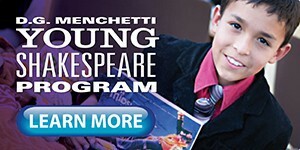 Menchetti Young Shakespeare Program, a series of performances produced for younger audiences presented free of charge during the summer at Lake Tahoe and throughout region. The Festival’s 2017 season features an additional week of performances and big savings on Two-Show Package Subscriptions. INCLINE VILLAGE, NV (May 17, 2017) – Entertainment, food, family, and friends will converge under the stars on the scenic shore of Lake Tahoe this summer as Lake Tahoe Shakespeare Festival (LTSF) launches its 2017 season. Due to audience demand, the Festival will add an additional week of performances of its two mainstage productions. Showcasing live entertainment seven nights a week, July 8 – August 27, 2017 at Sand Harbor, Lake Tahoe Nevada State Park, Lake Tahoe Shakespeare Festival’s 45th anniversary season is headlined by productions of Love’s Labour’s Lost, Shakespeare’s labor of love and laughter, and The Hound of the Baskervilles, a hilarious Sherlock Holmes whodunit based on the novel by Sir Arthur Conan Doyle, adapted by Steven Canny and John Nicholson. LTSF Producing Artistic Director, Charles Fee, will direct The Hound of the Baskervilles. Love’s Labour’s Lost was originally directed by Tyne Rafaeli. The productions will be performed in rotating repertory Tuesdays through Sundays at 7:30 p.m. When Sir Charles Baskerville is found dead on his estate with terror etched on his face and the paw prints of a gigantic hound beside his body in The Hound of the Baskervilles, the great detective Sherlock Holmes is summoned, with his trusty assistant Watson in tow, to unravel the mystery and investigate an ancient curse. This mystery classic is performed by three actors creating dozens of characters in what can only be described as a “tour de farce.” Packed with verbal and visual ingenuity, sleight of hand and a whirlwind of quick-changing characters – this suspenseful theatrical adventure delivers delightfully. Patrons are invited to save when they purchase tickets to BOTH Love’s Labour’s Lost and The Hound of the Baskervilles as part of a 2017 Subscription Package. 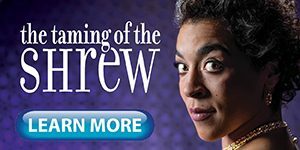 Subscription Package tickets may be purchased online at www.LakeTahoeShakespeare.com by selecting “Two-Show Subscription Package,” or via phone at 1.800.74.SHOWS. Reno Philharmonic Bravo on the Beach: Reno Phil Rocks Tahoe! SOLD OUT! Special fundraiser seating is available. Proceeds benefit Lake Tahoe Shakespeare Festival. INCLINE VILLAGE, NV (June 16, 2016) – Lake Tahoe Shakespeare Festival (LTSF) invites audiences to enjoy songs under the stars with acclaimed singer-songwriter, Ann Hampton Callaway, at Sand Harbor in Lake Tahoe Nevada State Park on Monday, August 8, 2016 at 7:30 p.m. Callaway performs as part of LTSF’s annual Wayne Prim Jazz Night. Tickets range in price from $32-$89 (single seats) or $178-$356 (tables of two or four), and are available online at www.LakeTahoeShakespeare.com or via phone at 800.74.SHOWS. House right Premium and Café Table and Chairs seating sections have been designated as LTSF fundraiser seats for this concert. Tickets in these sections are $200 ($100 is tax deductible) and include wine and hors d’oeuvres at a private reception with Callaway in Sand Harbor’s Ramada Open-Air Pavilion, Premium Seating for the performance and coffee and dessert at intermission. Proceeds benefit Lake Tahoe Shakespeare Festival. Seating is extremely limited. Fundraiser seating tickets are available by phone at 775.298.0163. Patrons who have already purchased general tickets to the concert may upgrade to fundraiser seating. 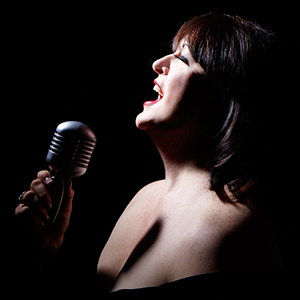 One of the finest singer-songwriters of our generation, Ann Hampton Callaway inspired The New York Times to write, “For sheer vocal beauty, no contemporary singer matches Ms. Callaway.” This statuesque performer dazzles music lovers and her talents have made her equally at home in jazz and pop as well as on stage, in the recording studio, on TV and in film. She is best known for starring in Broadway’s hit musical Swing! and for writing and singing the theme to the internationally successful television series, The Nanny. A devotee of the Great American Songbook– to which she brings fresh and original interpretations – her spontaneity, soulful charisma and spectacular voice will wow audiences this summer at Sand Harbor! Lake Tahoe Shakespeare Festival is a 501(c)(3) non-profit organization established for the cultural benefit and enjoyment of all residents and visitors to Lake Tahoe and the region. Annually drawing more than 30,000 attendees from across the country to the specially built Warren Edward Trepp Stage along the north shore of Lake Tahoe, the Festival is committed to producing the finest cultural events in the region. The Festival’s community outreach initiatives are highlighted by signature educational programs that include InterACT and the D.G. Menchetti Young Shakespeare Program. For more information, visit www.LakeTahoeShakespeare.com . The Festival’s 43rd season of summer entertainment under the stars also boasts a Monday Night Showcase, an extended Summer Encore Showcase, expanded Café Table seating, and big savings on Two-Show Packages. INCLINE VILLAGE, NV (May 26, 2015) – Entertainment, food, family and friends will converge under the stars on the scenic shore of Lake Tahoe this summer as Lake Tahoe Shakespeare Festival (LTSF) – a premiere summer event in the Reno/Tahoe region – launches an expanded season in 2015 that features two mainstage productions. Showcasing live entertainment seven nights a week, July 10 – August 23, 2015 at Sand Harbor State Park. Lake Tahoe Shakespeare Festival’s 43rd year is headlined by productions of Shakespeare’s romantic tragedy, Romeo and Juliet, and the world’s longest running musical, The Fantasticks. LTSF Producing Artistic Director, Charles Fee, will direct Romeo and Juliet. Victoria Bussert will direct The Fantasticks (book and lyrics by Tom Jones; music by Harvey Schmidt). The productions will be performed in rotating repertory by a single company of actors Tuesdays through Sundays at 7:30 p.m.
A multi-event Monday Night Showcase and new Summer Encore Showcase will augment the Festival’s 2015 mainstage productions and feature a diverse array of live music and entertainment from a variety of genres. Monday Night Showcase performances will run from July 20 – August 17, 2015, and Summer Encore Showcase performances will run from August 27 – September 12, 2015. Details and a complete lineup are available online at http://laketahoeshakespeare.dev.foerstel.com//playbill . William Shakespeare’s Romeo and Juliet, a powerfully poetic tale of love and loss, is the greatest love story ever told. Transcending the hate of warring factions, in defiance of their parents and in secrecy from their friends, two young, star-crossed lovers risk all they have to be together. However, the same passion that stirs the lovers’ hearts also fuels the wrath of their feuding families and threatens to exact heart-rending results. A charming and romantic musical about one young couple, two “feuding” fathers, and an infinite love that transcends over time, The Fantasticks whimsically whisks audiences on a journey of imagination into a world of moonlight, magic, and memory. Along the way, love is found, lost, and rediscovered again in one of the great classics of the American musical theater. The LTSF entertainment experience is complimented by al fresco dining at its on-site restaurant – Shakespeare’s Kitchen. Offering a wide variety of dining options, the Shakespeare’s Kitchen menu is available to view online at http://laketahoeshakespeare.dev.foerstel.com//visit/dining. Alternatively, patrons may choose to bring their own food or drink for picnicking. Complete information about picnicking and cooler size limitations may be found at www.laketahoeshakespeare.com/visit/faq. Regular priced tickets range in price from $15-$89. Subscription Package ticket discounts have already been applied to the pricing that appears on our website. No promotional code information is necessary. Tickets may be purchased online at www.LakeTahoeShakespeare.com or via phone at 1.800.74.SHOWS. Discounts are also available for groups of ten or more. For group info and reservations, call (775) 298-0154. Reserved Seating is SOLD OUT. Join us in Sand Harbor for Broadway on the Beach – an annual celebration of Broadway favorites featuring award-winning vocalists and the Reno Philharmonic led by music director Laura Jackson. This year’s Broadway soloists are the fabulous Christiane Noll, star of Ragtime, Chaplin, Urinetown, Grease, Miss Saigon, and South Pacific, and the dynamic Hugh Panaro, who is currently starring as the Phantom on Broadway and has been seen in Show Boat, Les Miserable, and The Red Shoes. Don’t miss out on this opportunity to hear Broadway’s best surrounded by the beauty of Lake Tahoe. Enjoy a new interpretation of a famous classic love story brought to life through dance and set to the haunting music of Sergei Prokofiev. Considered one of the “great” full-length dance dramas of all time, Romeo and Juliet: The Ballet features a company of 30 dancers led by ballet professionals from across the country. 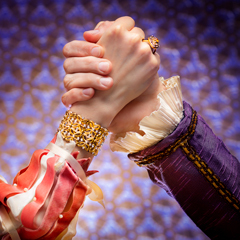 Shakespeare’s classic is re-imagined for contemporary audiences as the Sand Harbor production unfolds through the eyes of Lady Capulet, the mother of Juliet, highlighting the position of women during the Italian Renaissance. In a career that spans seven solo albums and countless collaborations in the studio and live on stage, Mindi Abair, a two-time Grammy nominee, has made her mark on a broad stretch of the musical landscape that includes jazz, pop, rock, R&B, soul, funk and more. Her impressive list of credits include ten #1 radio hits, a two-season stint as the saxophonist on American Idol, a national tour with Aerosmith, collaborations with Bruce Springsteen and Booker T and appearances on the Late Show with David Letterman. Mindi will surely set Sand Harbor a-rockin’ this summer with her unique blend of infectious energy and extraordinary talent. Mindi Abair supports Lake Tahoe Shakespeare Festival! Will you? Our house right Premium and Café Table and Chairs seating sections have been designated as LTSF fundraiser seats for this concert! Tickets in these sections are $200 each and include a cocktail party and meet and greet with the artists! For more information or tickets, call (775) 298-0163. Don’t miss this rare opportunity to experience world renowned speaker and author Nando Parrado as he takes the stage to share his extraordinary story of surviving the Uruguayan rugby team’s tragic plane crash in the Andes Mountains. This legendary tale of courage, teamwork, determination, faith, family, perseverance and the power of the human spirit will touch your heart and stir your soul. Many have read his best-selling book Miracle in the Andes or seen Alive, the movie that it inspired. Few have had the opportunity to experience his enlightening, powerful and memorable first person account – one that places a new perspective on the value of human life. out for yourself when Classical Mystery Tour performs live in concert with the Reno Philharmonic conducted by Jason Altieri. The four musicians in Classical Mystery Tour look and sound just like The Beatles! The full show presents some thirty Beatles tunes sung, played, and performed exactly as they were written. From early Beatles music on through the solo years, Classical Mystery Tour is the best of The Beatles like you’ve never heard them: totally live at Lake Tahoe. Midsummer Nightmare is back! Premiering at Sand Harbor State Park to sold-out audiences in 2007, the new Nightmare features a collection of exceptional performers that entertain with a wild mix of dance, special acts and live music. Representing “Air, Earth, Fire, and Water,” the performers tell the story of the battle between human and natural elements – an epic that explores our differences and embraces our dreams of unity and the future. Take a trip down memory lane with the Reno Jazz Orchestra and enjoy Sinatra’s most famous tunes performed by some of the finest jazz musicians in the West. 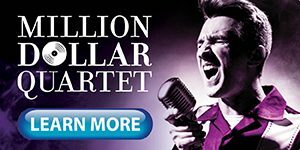 Presented in true Sinatra style by acclaimed soul, pop, and rhythm and blues stylist and singer-songwriter, Bobby Caldwell, this swinging night of big band music and songs under the stars is sure to delight. If Frank Sinatra were alive today to celebrate his 100th birthday this year, he would be proud to play Sand Harbor! Grammy Award-winning Pacific Mambo Orchestra (PMO) will close out the Summer Encore Showcase with rhythms and beats performed in English, Spanish, French and Portuguese. A true Big Band, Pacific Mambo Orchestra mixes the tradition of the 1950s mambo-craze with an intoxicating contemporary energy and features thirteen extraordinary musicians and vocalists. PMO is one of the best Latin Big Band Orchestras in the world. Opening acts will include the soulful world-style blues of local musician Peter Joseph Burtt, Taiko drumming, violinist Scarlet Rivera and jazz harp musician Motoshi Kosako. A wide range of corporate, marketing and individual sponsorship opportunities are available. For information, contact Rae Matthews at (775) 298-0154 or via email at rae@tahoebard.com. The Festival’s 43rd season of summer entertainment under the stars also boasts a Monday Night Showcase, expanded Café Table seating and handling fee-free ticketing. INCLINE VILLAGE, NV (December 9, 2014) – Entertainment, food, family and friends will converge under the stars on the scenic shore of Lake Tahoe this summer as Lake Tahoe Shakespeare Festival (LTSF) – a premiere summer event in the Reno/Tahoe region – launches an expanded season in 2015 that features two mainstage productions. Showcasing live entertainment seven nights a week, July 10 – August 23, 2015 at Sand Harbor State Park, Lake Tahoe Shakespeare Festival’s 43rd year is headlined by productions of Shakespeare’s romantic tragedy, Romeo and Juliet, and the world’s longest running musical, The Fantasticks. LTSF Producing Artistic Director, Charles Fee will direct Romeo and Juliet. Victoria Bussert will direct The Fantasticks (book and lyrics by Tom Jones; music by Harvey Schmidt). The productions will be performed in rotating repertory by a single company of actors Tuesdays through Sundays at 7:30 p.m.
A multi-event Monday Night Showcase series will augment the Festival’s 2015 mainstage productions and feature a diverse array of live music and entertainment from a variety of genres. 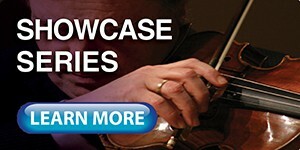 Monday Night Showcase performances will commence at 7:30 p.m. on Monday evenings throughout the season. Details and a complete lineup will be announced in the spring of 2015. A charming and romantic musical about one young couple, two “feuding” fathers and an infinite love that transcends over time, The Fantasticks whimsically whisks audiences on a journey of imagination into a world of moonlight, magic and memory. Along the way, love is found, lost and rediscovered again in one of the great classics of the American musical theater. The LTSF entertainment experience is complimented by al fresco dining at its on-site restaurant – Shakespeare’s Kitchen. Offering a wide variety of gourmet dining options, the Shakespeare’s Kitchen menu will be announced in the spring of 2015. Alternatively, patrons may choose to bring their own food or drink for picnicking. Complete information about picnicking and cooler size limitations may be found on our Frequently Asked Questions page. Patrons are invited to enjoy the best savings of the season when they purchase tickets to BOTH Romeo and Juliet and The Fantasticks as part of a 2015 Subscription Package. Patrons save up to $10 off regular priced tickets when purchasing two-show Subscription Package tickets. Subscription Package tickets may be purchased online at www.LakeTahoeShakespeare.com or via phone at 1.800.74.SHOWS.